Because it was a hot day yesterday I made the pastry using the blender method that I first used with the custard tarts. It's what most people do, but I still prefer to do things by hand sometimes. I got the pastry pastry fitting better this time. I rolled it out to larger than the pan, laid it on top and then cut around the inside of the pan. 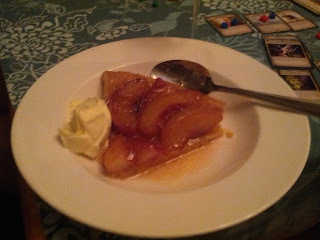 I then poked the sides down gently so they would form a lip around the tart when it was turned over. It was very, very yummy with some double cream on the side. 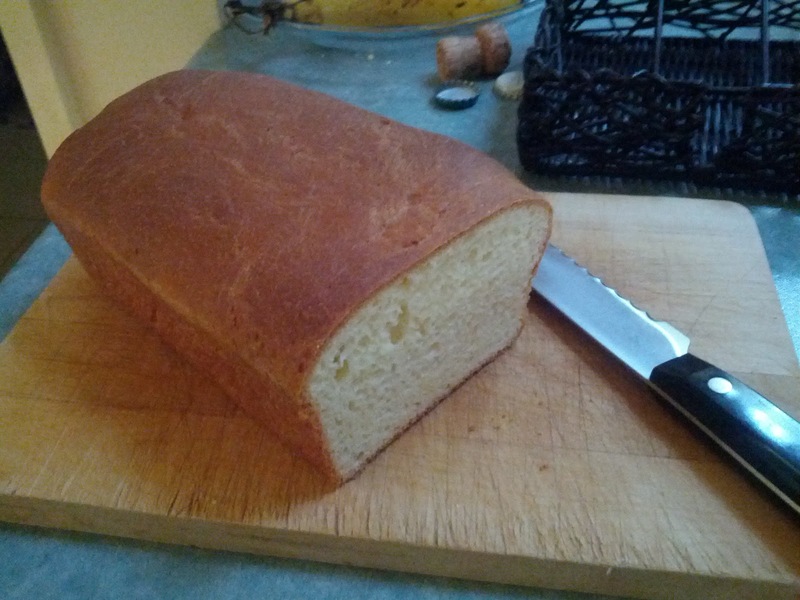 Since I already planned on having the oven at 180ºC anyway I decided to make some brioche as well. This would be a breakfast treat for Abbey and Rachel (who missed out on the tart) - French Toast! The brioche recipe I use is from Stephanie Alexander's The Cook's Companion in the "basics" section. Warm water and sugar slightly, mix until sugar dissolved (I use caster sugar to make this simpler.) Cool if necessary so it's not too hot. Mix flour, salt and yeast in the bowl of a mixer with a dough hook. Combine eggs and warm milk mixture. Pour the liquid into a well in the flour and mix to a dough. Work until the dough forms a smooth ball. Personally the dough has never formed a smooth ball even though I run the mixer for at least 10 minutes on speed 2 on my Kitchenaid. The dough always sticks quite convincingly to the sides of the bowl and I have to frequently scrape it off. Incorporate the butter in two lots. This bit never works for me. I have to frequently stop the mixer to cut the butter into the dough. It will go stringy and then eventually form into a ball again. Cover the bowl with a clean cloth and allow the dough to double in size - this can take 2 hours in a warm room. Knock the dough back (flatten it to remove all air) and transfer to a baking tin. I use a 20cm cake loaf tin (it's a bit low - I should find something with higher sides.) Cover and allow to rise again for about an hour. Bake at 180ºC for 30 minutes. Remove from tin and return to oven for another 10 minutes. Cool before using. To make French Toast you need to bake the brioche the day before. Then cut a generous slice between 1-2cm thick and soak well-beaten egg into it. Cook thoroughly on both sides - several minutes on a low heat. Serve with maple syrup or just a dusting of sugar.